Richtree Market Restaurants installed a 15-screen digital menu board system in their new location at the Promenade Shopping Mall in the Greater Toronto Area. The installation also marks the beginning of a software integration partnership between Mirada Media and SilverWare POS that allows Richtree employees to manage menu items via their quick-service POS terminal. 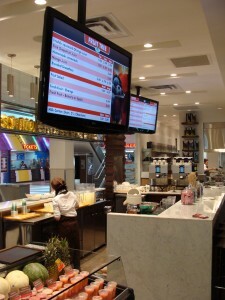 TORONTO, ON & MONTREAL, QC – February 24th, 2010 – Richtree Market Restaurants, a chain of market-style restaurants with locations across Ontario, has installed a 15-station digital menu board system in its new location at the Promenade Shopping Mall in Thornhill, Ont. The installation is the first of its type for the restaurateur. 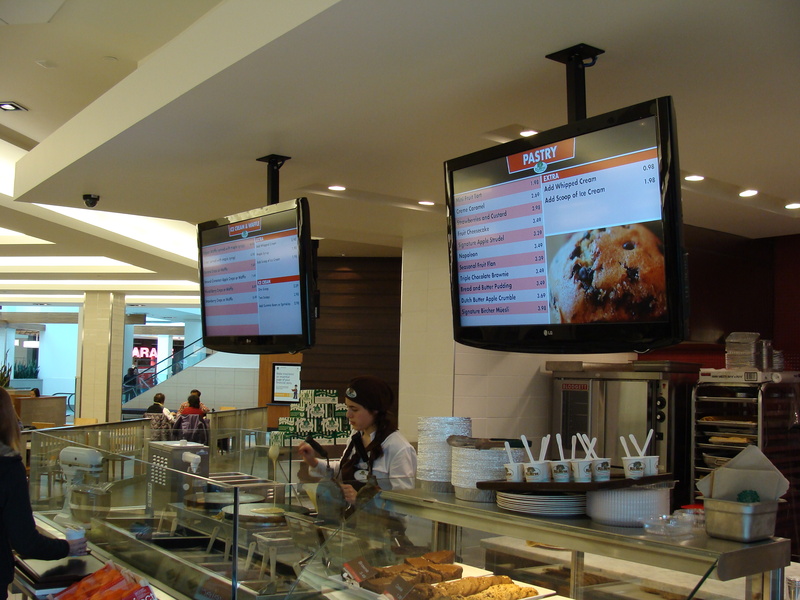 Traditionally, static and chalkboard-style menus were used over stations but Richtree is trialing digital boards in an effort to increase efficiencies, modernize their operations and as part of a larger brand refresh effort. 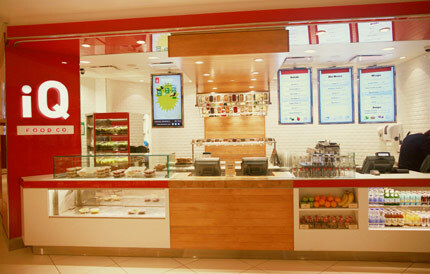 The boards are powered by a system born of the integration partnership between Mirada Media, a digital signage software developer and integrator, and SilverWare POS, a developer of front-of-house and back-office solutions for the hospitality industry. The combined solution allows restaurant managers at Richtree to modify items that appear on the menu boards using the same interface that manages order entry and inventory. Increasing overall revenue was also a benefit Richtree sought out. 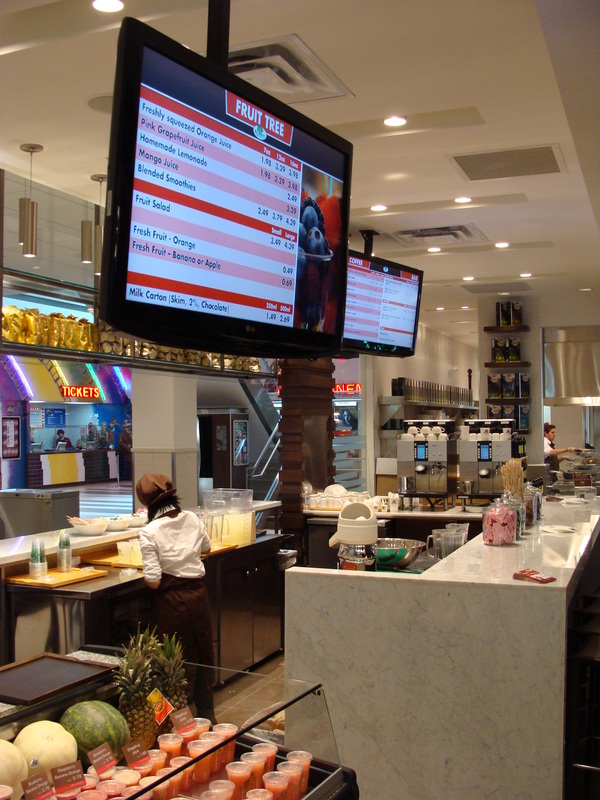 Mirada Media’s web interface allows the remote update of images and videos in certain areas of the screens to be used for merchandising and promotional efforts and to attract patrons into the restaurant.